Narendra Modi Biopic: Paresh Rawal out, Vivek Oberoi in? HomeNarendra Modi Biopic: Paresh Rawal out, Vivek Oberoi in? A biopic on Indian Prime Minister Narendra Modi has been in the offing for quite a long time now. A Gujarati filmmaker Mitesh Patel had announced his biopic way back in 2013 but it didn't materialize due to the new developments in his political career after he became a PM. Other filmmakers also attempted to make a film on his life in the meantime but none of the projects saw the light of the day. Actors like Anupam Kher, Paresh Rawal, and Akshay Kumar's name did the rounds as the protagonist until early this year when Paresh himself confirmed that he would be playing Modi on-screen. However, there seems a change in the development once again. We hear Paresh Rawal will no longer be playing Narendra Modi in the film based on him and his struggle. 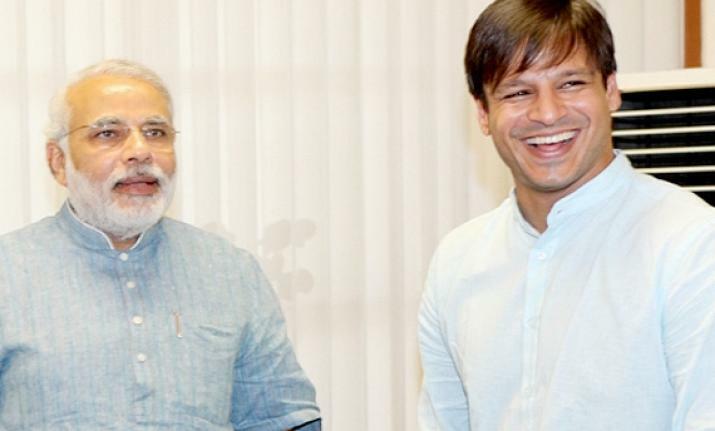 Although the reason behind his exit from the project is not known yet, Peepingmoon.com has learned that Vivek Oberoi has now come on board to play Modi. Omung Kumar who has earlier directed the biopic on the eponymous boxer Mary Kom will helm this project while his Bhoomi producer Sandeep Singh will back it along with an NRI businessman. The yet-untitled biographical drama will apparently chronicle Modi's journey from a common man to the Prime Minister of the second most populous country in the world. "From running a tea stall to working in the staff canteen of Gujarat Road Transport Corporation, taking a plunge into politics, becoming Gujarat's chief minister and then the prime minister, the film tells the story of his rags to riches. It goes on floors around mid-January 2019 and is planned to be shot extensively in Gujarat. The preparation had started two months back, the look test and all have already been done. Vivek has also been undergoing extensive research in order to get into the skin of the character. He is observing Modi's ideologies and all the nuances so he could pull off the character accurately," a source close to the project told us adding that veteran foreign prosthetic artists have been roped to work on Vivek's look. The film is apparently being mounted on a high budget. The makers plan to make the film a mix of fact and fiction and present it as a commercial biopic. "They are planning to shoot it in a start-to-finish schedule and release before 2019 Lok Sabha election."